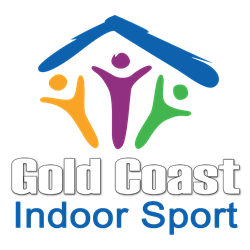 Gold Coast Indoor Sport is more than just a place to play sport, it’s a great place to make friends in a fun environment. We provide a healthy, professionally managed and maintained environment where groups of friends, families and workmates can enjoy playing social sport all year round. It doesn’t matter if you are young or old, a serious high grade player, or a beginner looking to get started, competing in our graded competitions each week, you can rest assured that we are able to offer your team a fair competition irrespective of their ability. All competitions are fully serviced by providing all necessary playing equipment, umpires and a comprehensive competition management system. No volunteers are required for any task, we do it all! Air Conditioned Licensed Bar – Kiosk – ATM – Pool Table – Big Screen TV. Gold Coast Indoor Sport provides a social and sporting environment on 3 courts where the weather is never an issue. Indoor cricket is a fast paced version of the outdoor game where everyone gets to bat and bowl equally. With competitions on Monday, Tuesday and Thursday, games are completed in just over an hour so still plenty of time to sit back and relax with mates over a cold drink. With fully netted courts the ball never goes out, throwing a new aspect on the traditional game. There’s plenty to like about this fast paced game. Ladies comps are on Monday and Wednesday evenings as well as Friday morning, with Mixed comps on Thursday and Sunday evenings. ‘The World Game’ has been tweaked, manipulated and re-invented so that it can be played on a smaller indoor court. The end result is an exciting, fast-paced version of soccer, with more regular scoring and plenty of opportunity for players to show off some fancy footwork. Games are played on Friday nights. We’re here to help. Whatever the question, complete the form below and we will get back to you as quickly as we can. Alternatively just give us a call on 07 5539 3766.